If you can't wait to get your hands on the next-generation Ford Ranger, here's more reason to get excited: Ford recently demostrated the power of the pickup truck by letting it pull a 160-ton steam locomotive out of its shed. Assigned to do this massive task was a standard, fully-laden next-generation Ford Ranger Double Cab equipped with a 3.2-liter inline-five common rail Duratorq TDCi diesel engine that's paired to a six-speed automatic transmission. 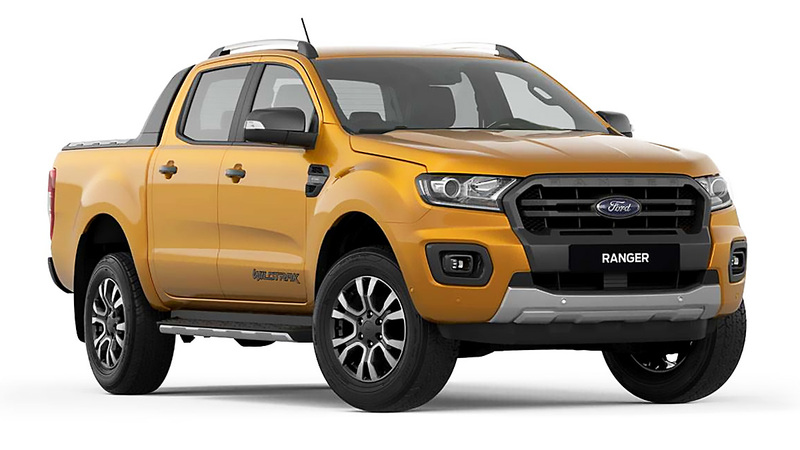 With an engine output of 197hp and 470Nm of torque, the Ford Ranger's low-range, four-wheel-drive mode was engaged, allowing it to simply tug the train and get it rolling without any fuss and hesitation, proving its towing capacity of over 3,000kg. To put the next-generation Ranger's pulling prowess in context, Ford Australia vehicle integration supervisor Roger Lewis pointed out that the train is usually switched from one track to another by a T-class diesel-electric locomotive that weighs 70 tons and churns out nearly 900hp and "heaps and heaps of torque." "So if you don't have a T-class, you can always use the all-new Ranger," Lewis quipped. Because the photos simply don’t do it justice, here’s a video of the Ranger in action pulling the 160-ton locomotive.